Seriously! Who freaks out more over pet vaccinations? Seriously!… Who freaks out more over pet vaccinations? Owners or Pets? Ruby is already 15kg at 14 weeks old and will reach approximately 35kg once she is fully grown. This means she is classed as a large breed dog and as such requires food for a large breed puppy. We recommend Royal Canin Junior for large breeds. It has a step by step guide to the amount of food to feed puppies at various ages based on what their adult weight will be. This means they put on weight gradually, not stacking it on too quickly which puts pressure on their joints. Large breed puppies require puppy food up to 18 months of age. This differs to small or medium breed puppies who require puppy food only for the first 12 months. 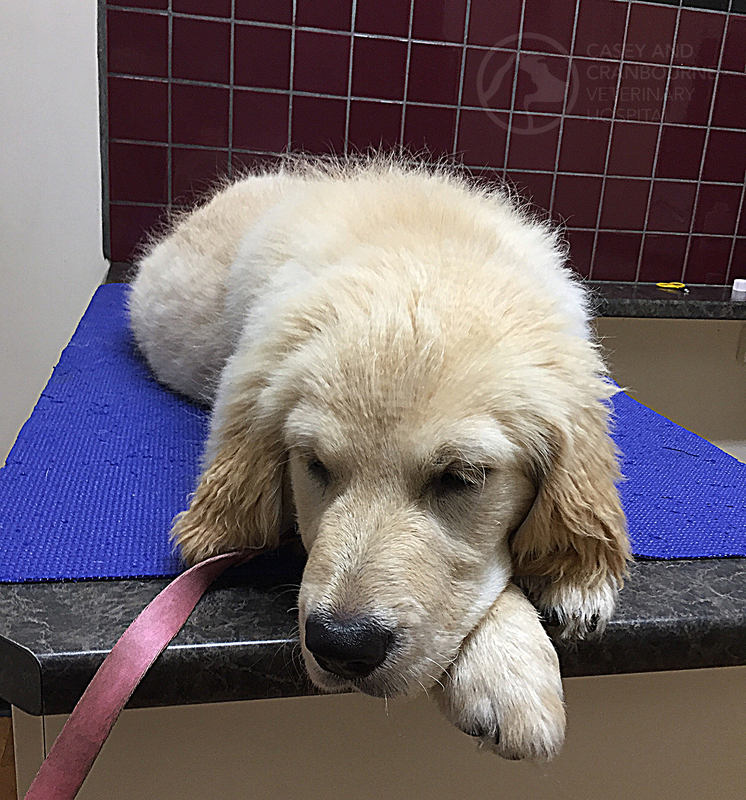 The reason for Ruby’s visit to the clinic was for her final C5 puppy vaccination. The C5 vaccination covers Ruby against distemper, hepatitis, parvovirus, Bordetella and parainfluenza. 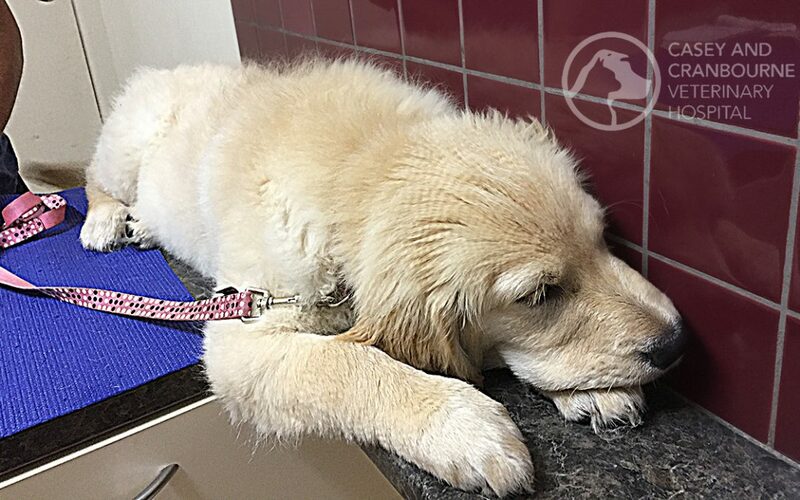 The full puppy vaccination course is essential to protect puppies against these diseases, the most concerning and potentially fatal disease being parvovirus. We use Nobivac C5 which breaks through maternal antibodies at 10 weeks. This allows puppies to go out for walks earlier (7-10 days after their 10-week vaccination) to mix and socialise with dogs who are known to be up to date with their vaccinations. 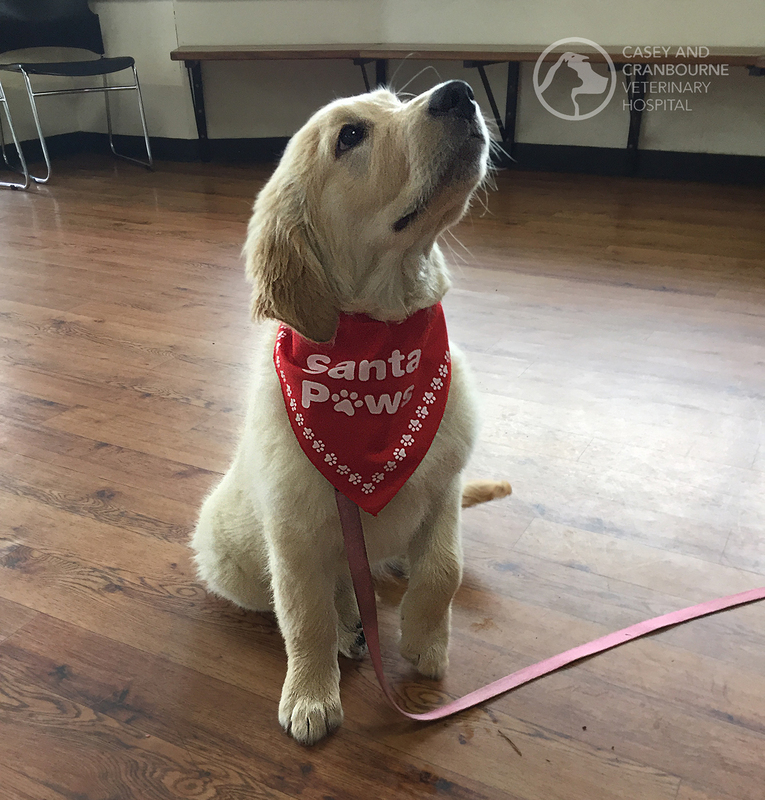 Once they have had their final C5 puppy vaccination at 14 weeks, puppies can socialise with all dogs (7-10 days after their 14-week vaccination). For adult dogs, this is a timely reminder to check your dog’s vaccinations are up to date, especially if they are booked into a boarding kennel. For those dogs not up to date with their vaccinations and are going into kennels within the next couple of weeks, we stock Nobivac intranasal BBPi (Bordetella and parainfluenza) vaccination that gives immunity after 72 hours with a single dose. Don’t panic if your dog isn’t up to date with their yearly vaccination and they are booked into kennels, as we can help. Contact Casey and Cranbourne Veterinary Hospital to book an appointment today.